What lives in a man’s heart, who can really say? That’s the question (♥) football fans around the nation are asking themselves following Colin Kaepernick’s decision last weekend to sit down during the national anthem in a 49ers’ pre-season, pre-game (v GB) show of defiance and determination over the on-going issue of racial inequality in the United States. Gotta admire one who advocates for justice. It’s the motive, method and then level of sincerity behind the overt act(s) that’ll peak the curiosity, cue debates, set media scrambling and strain the sensibility of more than a few commentaries. I’ve never been a big fan of forced conformity (one reason I‘ll never be rich), though, it has its place (HOA covenants, compulsory education, military service, immunizations, speed limits, etc.). That’s where one’s judgment capability, even surrounded by advisers, will come into play. Francis Scott Key’s Star Spangled Banner (1814) is not the ♫ toe-tapper ♫ the former Super QB (47) has come accustomed to hearing when filling his cranium with music from the ever-present head-muffins he wears (Beats-by-Dre). But its inspiration is honorable (War of 1812), its cadence easy and makes no religious test in the version of which I‘m familiar (See; God Bless America (Berlin)). Maybe, just maybe, Kaep has other motivations in mind as he keeps up his sit-down strike for as long as San Fran brass keep him in uniform, which was a somewhat tenuous proposition before his pessimistic statement on the nation’s racial state. And one has to wonder exactly how tuned-in to any issue of social merit could be the Milwaukee native, Cubs draftee (‘09-R43) and Runnin’ Rebel alumnus (2010) (Wikipedia) if that issue does not emanate (w/wisdom) from lips of his favorite balladeers, given the head-gear routine and the world of NFL accoutrements in which he and every pro player is ensconced: Limited library. With his NFL gig appearing to be in fade-mode and possessing of a business background (UNLV), pumping-up your political credentials can enhance post-NFL marketability. On the issue of racism, one on par with the national jobs outlook (always assailable), Colin can’t miss. But that’s too risky a tack, no, Stevo? ‘Au contraire, Esteban,’ might say his agent. ‘The folks who’re characterizing Colin’s gesture as un-American were likely not in his corner before nor target-market to buy his pitch today.’ What Colin’s boycott will do is solidify a favored position with his peers that may include the SAS’y one (Disney), Black Lives Matter and many in the Democratic Presidential nominee‘s campaign who’re all too eager to remind America just how much work is yet to be done on the racial fronts, at least one of ’em, and energize a base in the process. Key, of a different note (♫), you have gotta’ protect & promote the product ($), whatever your commodity may happen to be. Roger Goodell, DeMaurice Smith (NFLPA) and Rich Sherman know it all too well. Like Mike Sam before him (2014) whose deficiency in NFL talent did not stop him from receiving ample opportunities (Rams, Alouettes, Dallas, Vet Combine) after his pre-Draft disclosure of having a homosexual orientation, a social notoriety seemingly worked as leverage, Kaep too is, intentional or not, putting his 49ers team in a rather precarious PR position where his release / trade could give, to those of a bully bent, cause to attack the club in claim of racial insensitivity when, in fact, such postulated roster move could be rationally-based entirely on talent, or the lack thereof. Theoretically then, Kaep could, like Sam before, use his new civil rights notoriety, as leverage to, in his case, forestall any roster move. While Kaep’s intentions may be just, if not entirely free of self-interest, choosing to diss the national anthem is a bad play. Mixed messages and half-measures (unilateral racism) make for poor social statement. Indifference to such can suggest impure motives; And , when juxtaposed against actions of others in sport (Ryan Lochte), Colin’s call deserves at the very least a modicum of patience and consideration from his critics. When you think of the string of wrongs that Lochte perpetrated, all working a taint upon the Olympics, Brazil, team USA and then boyish dismissiveness of taking responsibility once the bad was exposed (“I exaggerated that story”) and following favoritism afforded by many in the media and entertainment worlds (Dancing With the Stars), in a comparative sense, Colin can be fairly characterized as Walking Tall (‘73 / 04). The San Francisco 49ers, if they don’t release / trade CK soon will seek, then demand his cooperation as preferential treatment and actions viewable as un-patriotic cannot stand, no pun intended. The NFL will then assert policy directives while NFLPA will back its member regardless of the merits or non-conformity (CBA) of his actions (See also; PEDs). When tackling issues that sweep across the social plain, the bravest people are often the loneliest (See; Trumbo & Abbey). They count their profits in common coins of community breadth, substantive gesture and the few but sincere conversions that may come. In weight-room lingo, it’s called no pain, no gain. True progress exacts a steep price in self-sacrifice, all around. If Colin’s cause is sincere, largely unselfish and informed (again, the ♥ thing (? )), I wish the man well. Lacking in any of those and the Sporting Gods should, in time, exact their revenge, i.e., ex-QB. The 2016 college football…hold on…, 2016 FBS Division I NCAA college football season and campaign for an invite to compete in the College Football Playoff (12.31) and place in the national championship game in Tampa Bay (1.9.17) (Phew!) is almost officially underway with Friday night’s opener (10pm EST) down under in Australia that pits Hawaii versus California (Saturday in Sydney). Next week various other Big School openers will join the kickoff parade, including a match in Dublin, Ireland (GT v Boston College (9.3)), the Georgia Dome (Chick-fil-A Bowl: UNC v Georgia (ATL 9.3)), one at a top NASCAR site in Bristol, TN (VT v UT) and that great college football mecca (?! ), Lambeau Field in Green Bay, Wisconsin (LSU v UW (9.3)). The famous but now nearly never frozen tundra that carpets the stadium by the bay which French fur-trapper and New France explorer, Jean Nicolet discovered (oops! ), mapped in 1620, is of course football holy ground ensconced in history. Those fans then who’re lucky enough to be in attendance for this classic college kickoff will upon exit find within general vicinity a plethora of museums, souvenir shops, cheese-curd carts and fine eateries with brats n’ brew of all varieties to please the pallet and wet the whistle. Hot diggity! Lambeau Field: A great facility to visit and enjoy a game. Nevertheless, what’s irksome to this sports fan on the choice of the Lambeau locale for this bayou – badger battle, rather than venerated Camp Randall in Madison, is that it seems just one more act in consolidation of major Wisconsin football and its concomitant financial benefits ($) into the hands of Packers’ elite (Board of Directors (EC)), a clique that in 1994 decided, once that Favre money was flowing like gold into the till, to pull up stakes and cut ties to its southern base in the state’s largest city, Milwaukee, where Pack had played from 2-4 games per since 1950s and forged a pretty spiffy history of their own (1960 >). 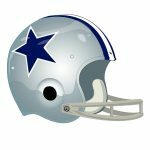 The traveling tradition began in a decade when green & yellow were struggling mightily for an extended period from the late 40s through most of the 50s, a first dry spell in their storied history to that point (1921), all of it under the guidance of founder, player and head coach Lambeau. But even as Vince quickly got the Packers ship righted (‘59 (7-5)) and had his own opinions about playing field preference, the Milwaukee games continued on with the team’s heightened and sustained success throughout the 1960s. I wish the Badgers, their visiting Tigers contingent and all connected to the September game a happy, memorable experience. It should be a wing-dinger wherever it’s held. In the bigger picture, however, consolidation of top games at Lambeau, a site imbuing in aura and appreciably adding to benefits that accrue to local and ancillary interests, does in fact work a real deprivation on two fronts: 1) Upon Milwaukee and Madison area supporters of the Pack, fans & merchants both, who stuck with the guys through thick n’ thin and are now denied their chance to participate in the praise-a-thon on their own sui-generis tundras, and 2) On the stronger, more substantive sense of former unity that’s been dismissed as trivial, a spirit of ownership, so to speak, that the dual-home system had worked throughout Wisconsin for forty years and went well beyond simply buying Packers merchandise online or at the local Kohl‘s and Walmart. By spreading the joy and playing even just two regular season games in Milwaukee, Green Bay Packers, Inc. had facilitated a tremendous display in community sharing that was truly unique amongst NFL’s family of teams. A message to the Green Bay Packers’ General Manager Ted Thompson, the Executive Committee and electing Board: Start thinking reciprocity, folks. In lean times the people of America’s Dairyland supported the Packers statewide (Devine family might take issue (’74)). Now back in clover (1992 >), it’s time for Ted Thompson & Board to spread joy and share wealth in re-establishing the City of Milwaukee, maybe adding in the State capital of Madison, as Packers game sites, pending the NFL’s approval of course. It’s time to reflect, reconsider the consolidation of Packers assets and start fashioning a broader purpose in statewide comradery (Packers at Miller Park and Camp Randall (Brew Crew in Green Bay? )), a move appreciable today and then especially when these halcyon days in continuum of Hall of Fame caliber QBs, i.e., Rodgers and Favre, come to an end, as they always do.